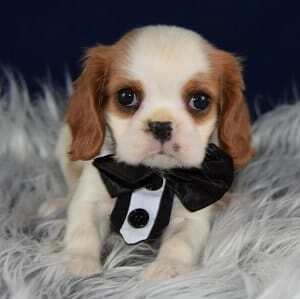 Temperament: Our Cavalier puppies for sale are most importantly, a very affectionate breed. 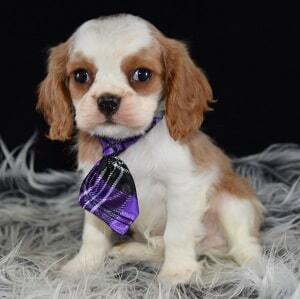 You’ll just never meet a Cavalier who doesn’t love everyone and always want love and attention. They are a spirited, yet patient companion dog and are very good with children and other dogs. Their eagerness to please their owner makes them very easily trained. They are not shy, but are very gentle and love to meet new people. 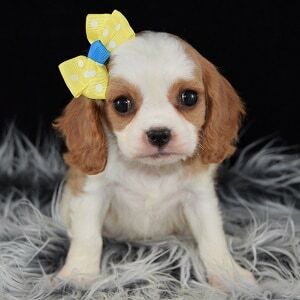 Cavalier puppies for sale in PA benefit from a lot of human interaction and are happiest when they are with someone often. With having so much attention, like any other breed, they must know that there are rules and limits to what they are allowed to do. 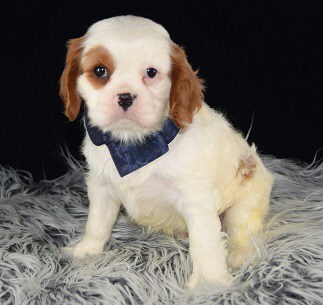 Cavaliers do have a hunting background, which is still instinctive and should be kept fenced or leashed when outdoors. 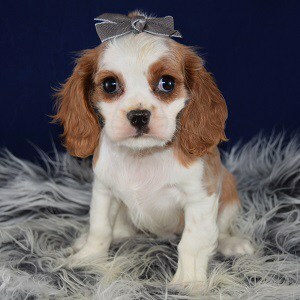 Fun Fact: The Blenheim spot on top of Cavalier’s head is also known as the mark of the “Duchess Thumb Print”, based on the legend that Sarah Churchill, Duchess of Marlborough, while awaiting news of her husband’s safe return from the Battle of Blenheim, pressed the head of an expecting dam with her thumb, resulting in five puppies bearing the lucky mark after news that the battle had been won. 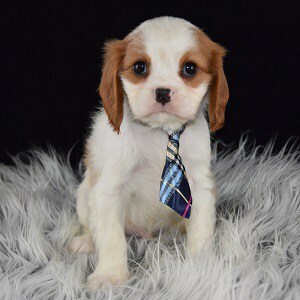 Ridgewood Kennels has been placing Cavalier puppies for sale in PA, NY, NJ, DE, MD, RI, and farther for more than 40 years! 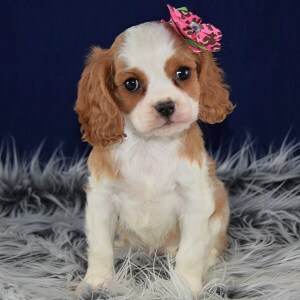 All of Ridgewood’s Cavalier puppies for sale go home with a written LIFETIME warranty as well as their puppy shots completed. 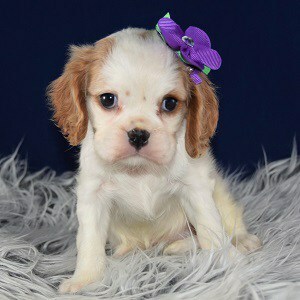 See Ridgewood Kennels Cavalier puppies for sale below! 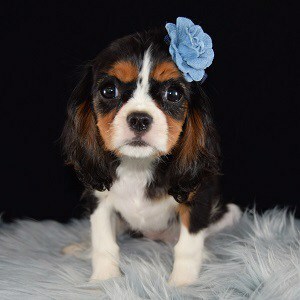 Activity: While they are a very small dog, and love cuddling, Cavaliers are quite athletic and capable of keeping up on hikes and walks, so they have great success in the agility circuit. But if you want them to lay on the couch all day, they will be content with that too. Grooming: Comb or brush with a firm bristle brush, and bathe or dry shampoo as necessary. Trim hair if desired but not necessary. Keep ears clean as well as free of moisture. Also, keep nails trimmed. Shedding: Average Shedding, brushing will help with this. 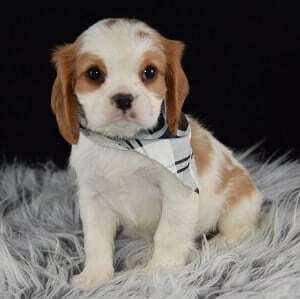 Origin: Back in the 1920s Roswell Eldridge offered prize money to any person exhibiting King Charles Spaniels with long noses. He was looking for dogs similar to King Charles II’s spaniels, before the Pug was bred in. 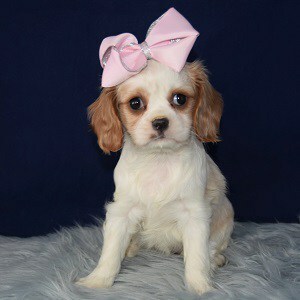 American breeders began breeding these long-nosed Spaniels and by the 1940s these dogs were classified as a separate breed and were given the prefix Cavalier to differentiate them from their forebears. 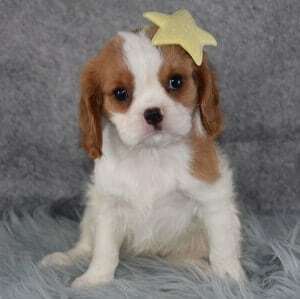 The Cavalier King Charles Spaniel was shown in the Toy Group of the AKC for the first time in 1996. 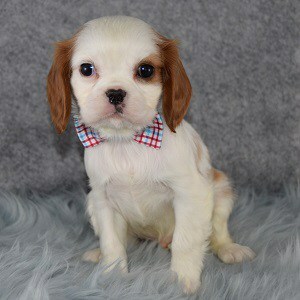 Hi Holly, I just wanted to take a moment and update you one our puppy. 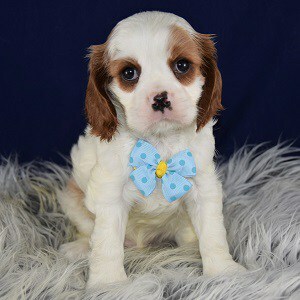 We bought Mason (or as you knew him, Asher) from you guys in March. When we brought him home he was a 2.7 pound 10 week old tiny puppy. To this day he is now 10 pounds and almost 7 months old. Mason is the first pet I have ever had. He has brought sooo much joy to me & my families lives. Because he was potty trained within a month & a half…is such a happy, playful, silly little guy. We are in the process of trying to teach him sit, stay, those types of tricks. He already knows speak. Mason learned how to play fetch almost as soon as we brought him home and he also likes to swim! He was so easy to crate train, that’s the only place he sleeps. When he gets tired, he will walk into his crate by himself and go right to sleep. He sleeps all night, sometimes I have to actually wake him up in the morning lol. From the moment we brought Mason home, he was such a happy puppy. I could tell from that moment that you guys really take care of the pups you sell. 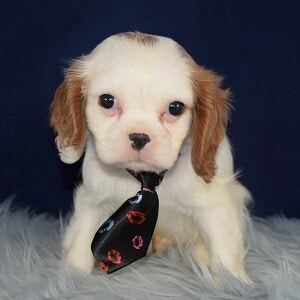 We have recommended 2 people to check out Ridgewood to buy puppies. I’m hoping to eventually buy Mason a friend soon, hopefully within the next year and I will definitely be buying from you guys!” -Jen C.